In the basement of a building in midtown Manhattan, an artist has planted a garden filled with lavender that grows every time the president tweets. 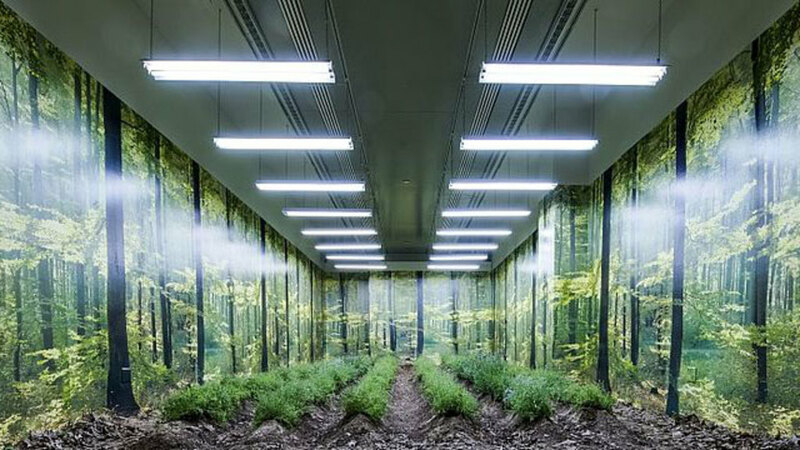 The installation piece was set up by artist Martin Roth in the basement of the Austrian Cultural Forum New York and given the very literal title “In May 2017 I cultivated a piece of land in Midtown Manhattan nurtured by tweets,” as Hyperallergic reports. Roth plugged an algorithm into a Raspberry Pi that allowed him to sync grow lights to nearly two dozen Twitter accounts, including @POTUS and @realDonaldTrump, as well as the Twitter accounts of Press Secretary Sean Spicer and White House advisor Kellyanne Conway, and mainstream media outlets like Fox News and CNN. The more they tweet and retweet the brighter the lights become, helping the lavender bloom and grow. If the president doesn’t tweet, the plants return to darkness. Roth chose lavender because it is known for being soothing and restful, turning presidential tweet storms into something relaxing. Almost.